Nite-Time Rocks Columbia College Again! The best night shot I could get of the amazing lighting job on Low Library. 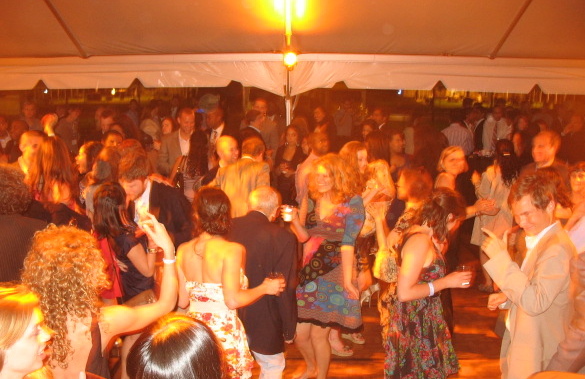 Nite-Time has been playing at Columbia College’s Alumni Weekend since before we were officially Nite-Time! I think this year was year 11. 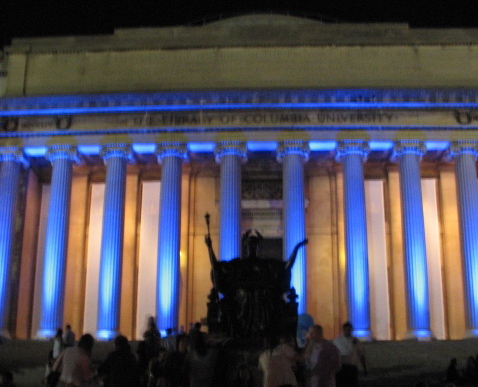 Over the years it has been a lot of fun for us and there’s always a great crowd of Columbia Alums that are out to celebrate and have a good time. I LOVE that this guy noticed me taking the shot right in time!! 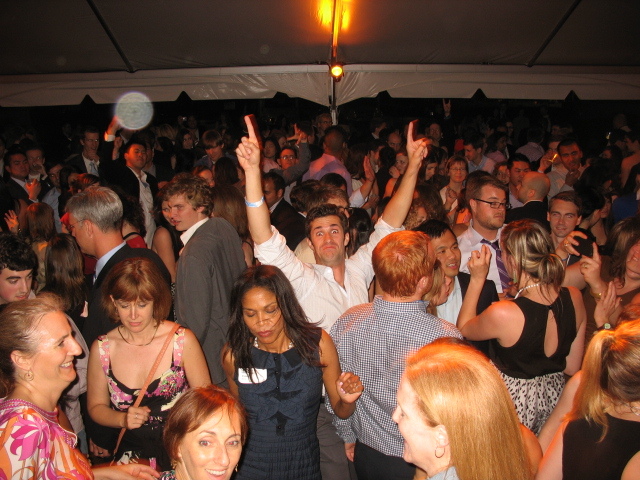 We’re already gearing up for next year’s Starlight Reception and can’t wait to party with Columbia again! Thanks so much for having us and get ready 2’s and 7’s – it’s on!! 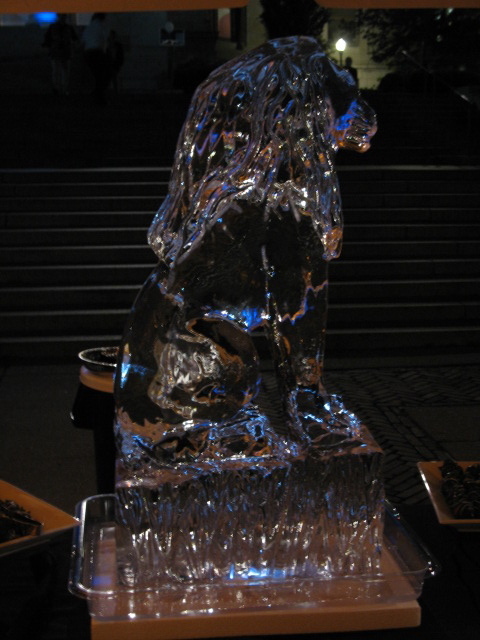 This year the Columbia Lion was put in a safe place to avoid the sometime tradition of toppling his ice sculpture during the party. 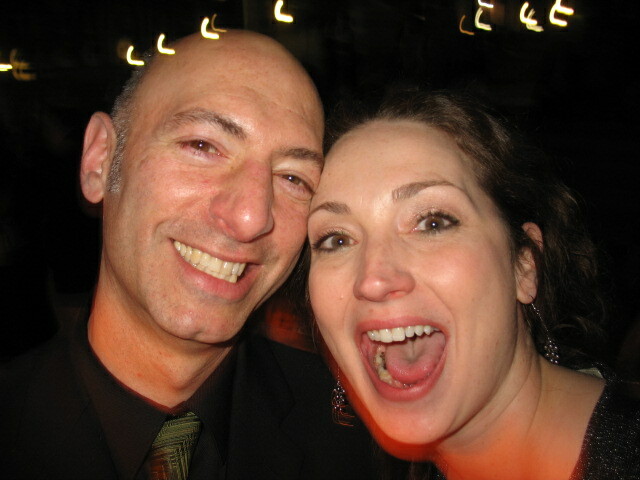 Maribeth and Gary are an incredibly fun and energetic couple. 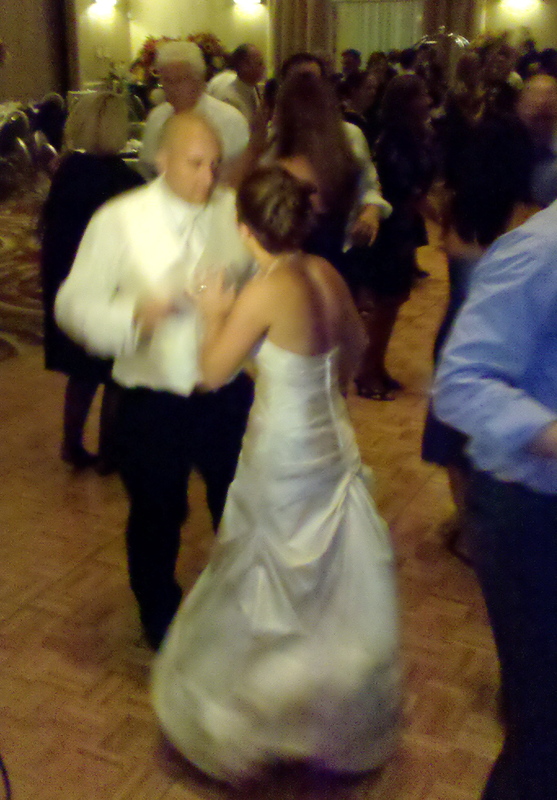 They danced non-stop all night, as is evidenced by the collection of blurry dancing pictures I have of them. Good thing they had the folks from All That’s Video and Photography there to get the real pics! Maribeth had an in, since her dad owns the company. They’re real pros that have been providing photo and video services in the area since 1986. They were great to work with and so were Maribeth and Gary. An easygoing and fun loving couple, these two just wanted to dance, and dance they did. After the party Gary confided in me that he wasn’t a huge Lady Gaga fan, until we segued from the Black Eyed Peas, I Gotta Feelin’ right into Bad Romance. Gary, I promise if you make it down to Pete’s Saloon for the show on Oct. 8th I’ll kick a little acoustic Paparazzi! Seriously though, I’m used to seeing our brides and grooms dance their newlyweds butts off, but not as much as these two. They even whipped the band into a frenzy! 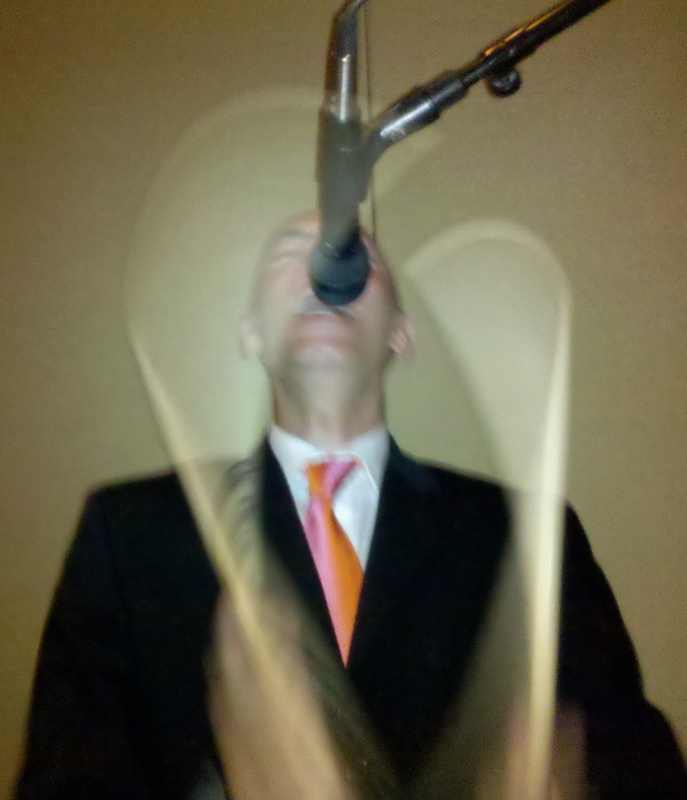 Yves jamming out at Maribeth and Gary’s wedding! We had a great time playing for them and you can even check out their first dance on YouTube! Scott and Danny did a great job with a simple guitar/vocal version of You and Me by Dave Matthews Band as per Gary’s request. A great first dance choice! Thanks again to Maribeth and Gary for having us and for being such a great couple. We hope to see you again soon.